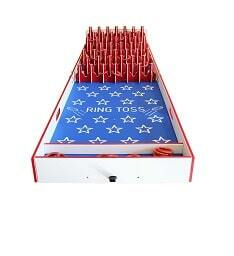 Kids of all ages enjoy this classic Ring Toss game. The goal is simple: toss the rings to land around as many bottles as you can! Game includes 30 rings.